CREATE AN OUTSTANDING APPLICATION FOR TOP EXECUTIVE MBA PROGRAMS! The EMBA application process can be tough, especially as a full-time professional. 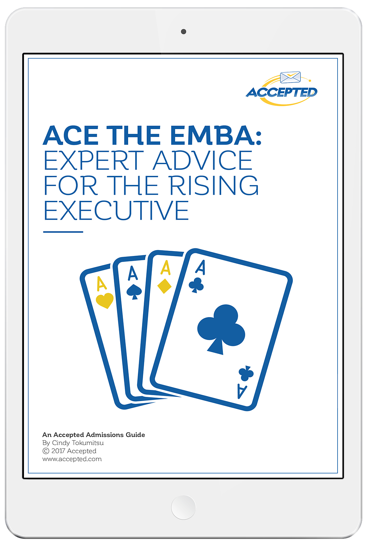 Our free guide will help you navigate the road to an EMBA acceptance. We'll show you the program options available to you, what the expanded EMBA profile means for you, and how to be successful on your GMAT.